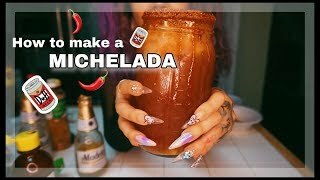 A twist on the Michelada cocktail, this cocktail adds a kick with a combination of TABASCO® Sauce and TABASCO® Chipotle Sauce. Created by Natalie Bovis of The Liquid Muse for TABASCO® Brand. 1. Grind red chili flakes and sea salt to make chilli-salt rim. 2. Rub a cut lime around the rim of a tall glass to moisten. 3. Dip glass rim into the chilli-salt mixture. 4. 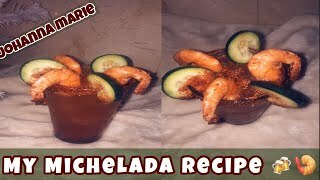 Pour 5 dashes TABASCO® Chipotle Sauce, 2 dashes TABASCO® Sauce, 75ml tomato juice (or freshly pureed tomatoes), 15ml lime juice (or ½ squeezed lime) and 240ml Mexican beer into glass. 5. Stir, add a prawn skewer and serve.